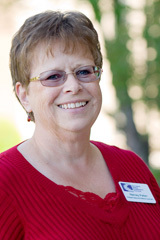 Nancey has been the coordinator of Child Care Partners since September, 2010. She has a long history of working in the field of Early Childhood, starting with 17 years as a family child care provider. “Retiring” from child care, Nancey joined Child Care Partners’ staff as the Provider Specialist in 1995. After five years with the program Nancey moved to Mid-Columbia Children’s Council, where she held a variety of positions over an 11 year period. But her heart always remained in child care and Child Care Partners, where she continued to teach classes. As Coordinator, Nancey does community outreach, and continues to teach classes.